See the singer's picks for kicking back at home. We love a good makeover, especially when it involves family-friendly ideas that we can steal for our own spaces. And that’s just the case with Jessie James Decker’s new Nashville living room. The singer, blogger and mom (with baby #2 on the way!) teamed up with Joss & Main’s style director, Donna Garlough, who brought in a bunch of fun pieces to create a warm, Southern-style kick-back spot with touches of French charm. The best part? Many of the items are available on jossandmain.com now. With its graceful windows and sky-high ceiling, the living room sure has great bones. But we're more drawn to the twin mirrors Jessie and Donna hung over the fireplace. "I was searching high and low for something above the fireplace to make a statement," says Jessie. Well, mission accomplished. 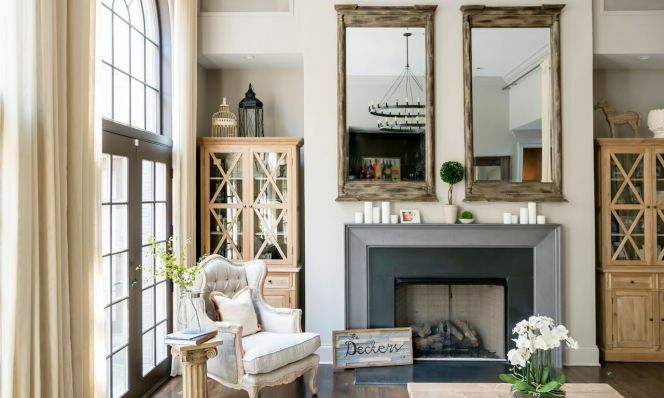 Hanging two identical mirrors is a quick and easy way to deal with that pesky blank space over a mantel. Look for styles with chunky wooden frames to add architectural interest to your own space. Don't be afraid to double up—symmetry adds visual calm to a room. 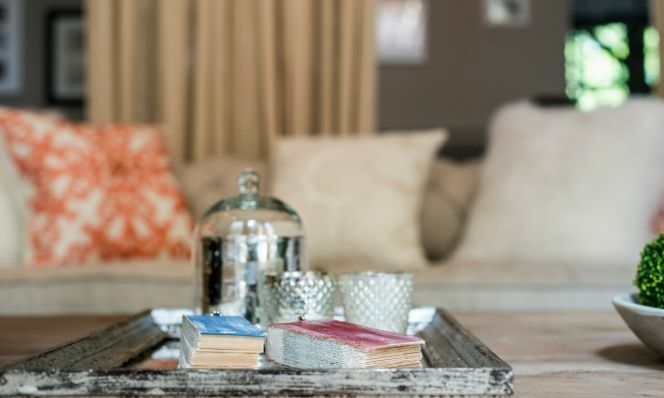 A coffee table is your best surface for a pretty vignette. 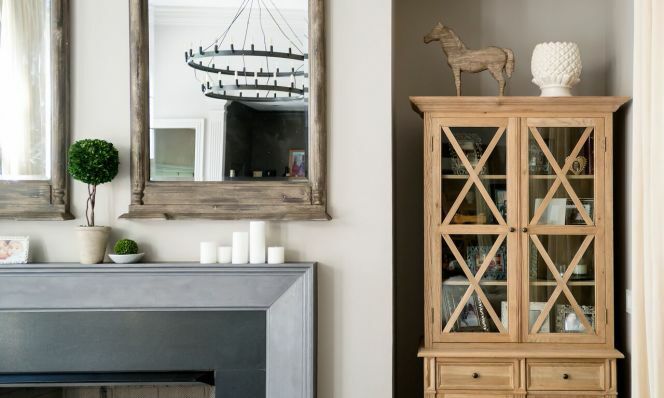 We love the idea of using a framed picture or antiqued mirror in lieu of a tray to corral favorite objects, from old books to a pretty cloche. The weathered frame and mercury glass votives add to that old-world, French country feel. By selecting a shelving unit close to the size of the recess in the wall, Donna was able to give the room's storage a custom, almost built-in look. The unit also allows Jessie to keep anything sharp or precious behind closed doors and high off the ground, where little hands can't reach. "Safety is number one," says Jessie. "I try to find things with soft edges and things that can't fall down and hurt my little ones while still being able to have style." Who says curtains are only for windows? We love the way Donna added voluminous drapes to this windowless wall of family photographs. Black-and-white prints, mats and frames give the collection an extra dose of sophistication and cohesiveness. See all of Jessie's Joss & Main picks here.